The best kept beauty secrets are just waiting to be revealed in your fruit basket. When it comes to healthy and beautiful skin, you do not have to spend that much on beauty products. 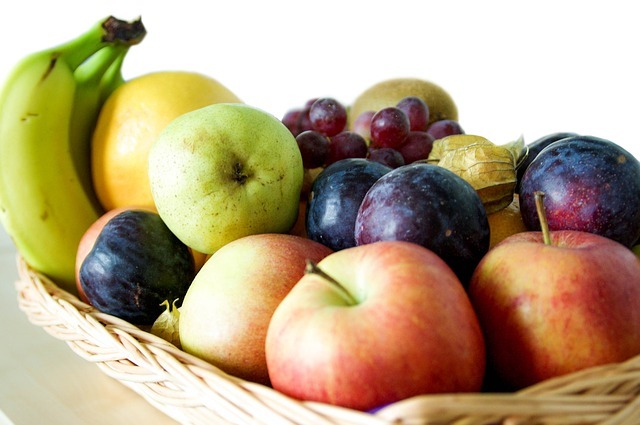 Your basket of fruits has hidden secrets just waiting to be revealed. Papaya contains adequate amounts of vitamin A, which is a powerful anti-oxidant. On top of that, it also has a special enzyme known as papain, which helps in exfoliating and sloughing of dead skin cells. Grapes contain alpha hydroxyl acid (AHA), which is good for skin exfoliation. Apart from sufficient amounts of AHA, grapes also contain anti-oxidants. Simply rubbing a fresh slice of grape into the skin every night is a good exfoliation technique. The results are gradual and mild enough to the skin. Avocado contains vitamin E and omega fats which can moisturize dry skin. Apart from moisturizing, avocado can also reduce the appearance of stretch marks, fine lines and wrinkles. The natural oils in avocado improve skin elasticity and boost the formation of collagen. It is also rich in vitamins A and C and fiber. Citrus fruits are well-known to contain high amounts of alpha hydroxyl acid (AHA) and vitamin C. AHA, as you know, is a natural skin exfoliant. It quickly dissolves dead skin cells to reveal younger skin. For those who have blemishes, dark spots and pigmentation marks on the skin, dabbing cotton soaked in citrus juice (lemon, orange or a combination of both) on the problem areas can eventually lighten the skin. Peaches are not only delicious. They are also rich in vitamin C, A, Selenium and traces of protein. Although its protein content is low, all of its nutrients contribute to quick skin healing. Those suffering from acne scars, sunburns and lacerations to the skin should eat plenty of peaches. The fruit can also be mixed with honey, cream or egg to create a refreshing facial mask. Strawberries contain salicylic acid, which is a keratolytic agent. Salicylic acid can exfoliate the outer skin cells and other skin debris. Those who are suffering from skin fungal infections can also benefit from strawberries because salicylic acid found in the fruit can boost the efficacy of anti-fungal medications. Besides its keratolytic properties, strawberries also have anti-inflammatory and acidifying effects which is can easily heal acne. Do you know why banana is good for the skin? It contains potassium, B vitamins, Zinc, lectin, amino acid, vitamins A, B, C and E. Specifically, the potassium in banana draws out any excess water which makes it a good eye and facial masks. Banana peel is also good for mosquito and other insect bites. Just rub the peel in the bitten area to reduce the swelling. It is best to have a holistic approach when it comes to keeping your skin healthy. Fruits can definitely work both ways. It can be consumed and applied directly to the skin at the same time.